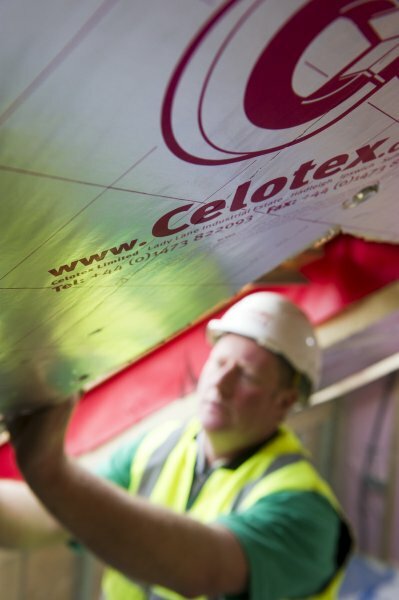 Celotex is a multi purpose insulation board and typical uses include floors, pitched and flat roofs, solid masonry walls, timber framed and steel-framed buildings. 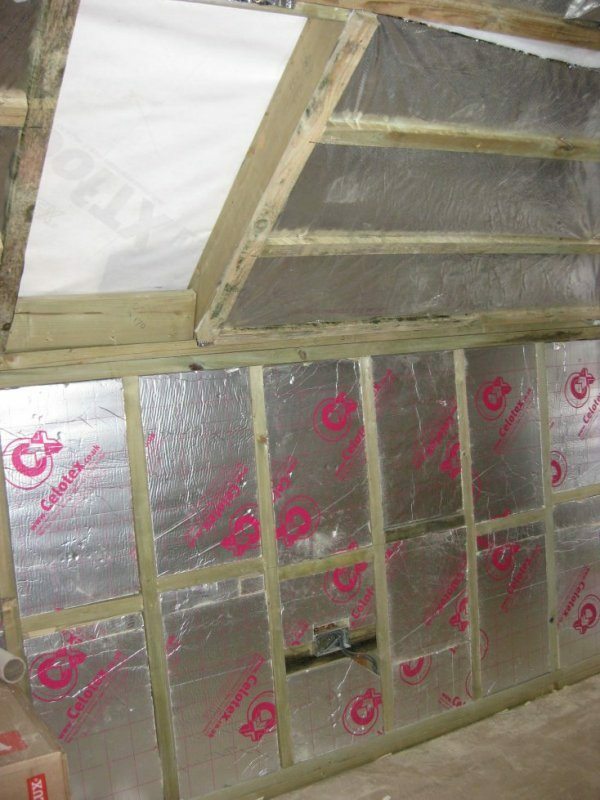 Their light weight and excellent thermal performance means they incur minimal additional loading in any structure and are ideal for loft conversions and roof applications. 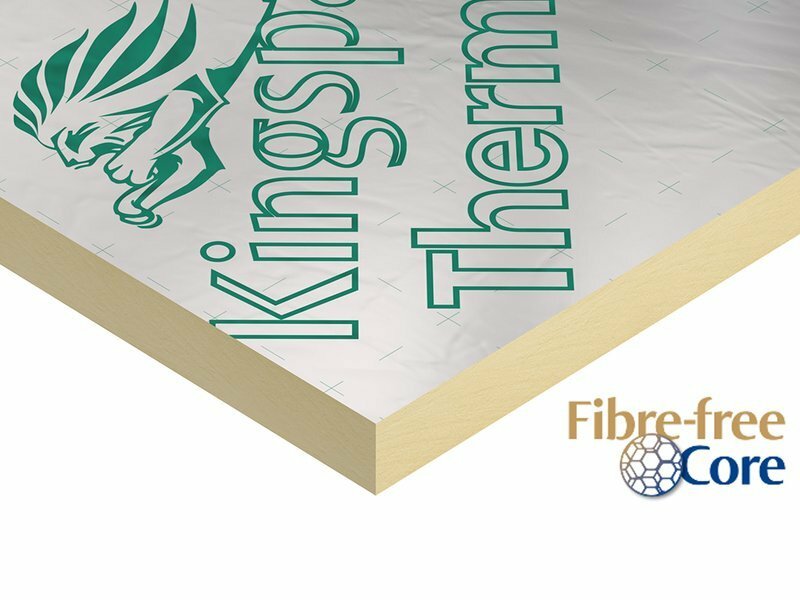 Due to supply shortages with rigid insulation boards we stock Celotex, Kingspan Thermapitch and Recticel Eurothane depending on price and availability. 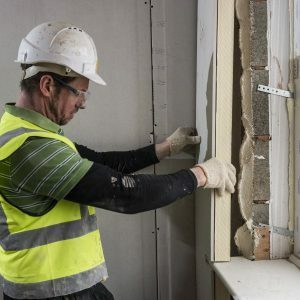 Celotex insulation comes in thicknesses ranging from 12.5mm -200mm, but we normally stock these rigid insulation sheets from 20mm up to 120mm. Standard sheet sizes are 1200 mm wide by 2400mm long and are easy to cut and shape. 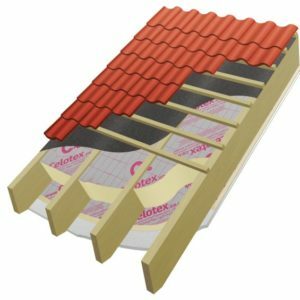 Thicknesses over 30mm thick feature a core foam reinforced with glassfibre. We also carry 45 metre rolls of aluminium backed tape in 50mm, 75mm and 100mm widths for joining boards. 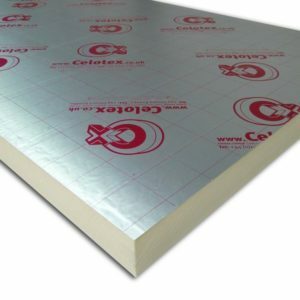 For those who like the technical bits Celotex boards feature low emissivity foil facings, GA3000 is manufactured from rigid polyisocyanurate (PIR) uniquely reinforced with glass fibre (except GA3100) using a blend of blowing agents that have zero ozone depletion potential (zero ODP) and a low global warming impact. 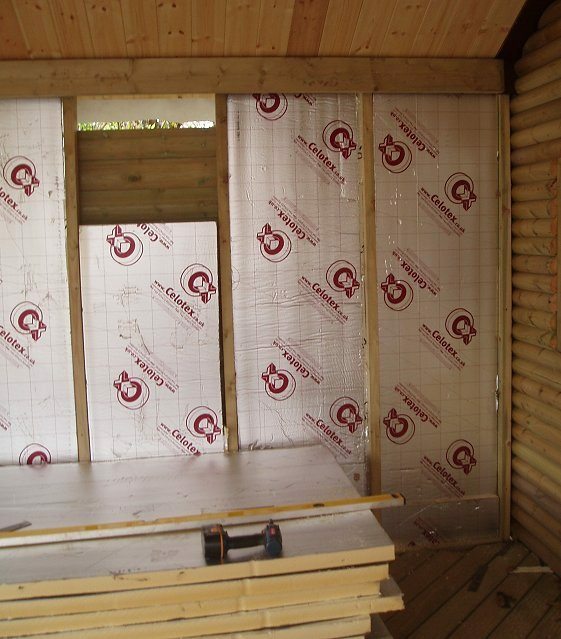 Rigid insulation boards should be stored dry, flat and clear of the ground care should also be taken not to damage corners or edges. Where possible the boards should be cut with a trimming knife rather than a saw to minimise the creation of dust.